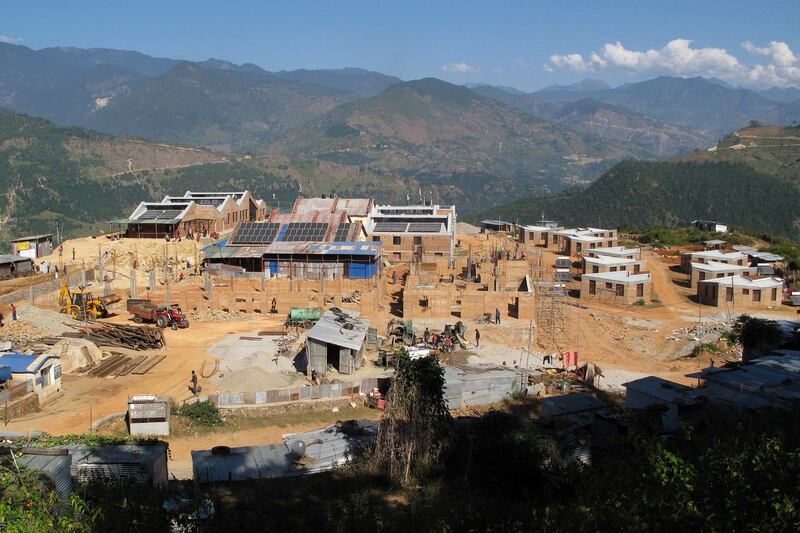 Bayalpata Hospital is located in the mountains of Northern Nepal. 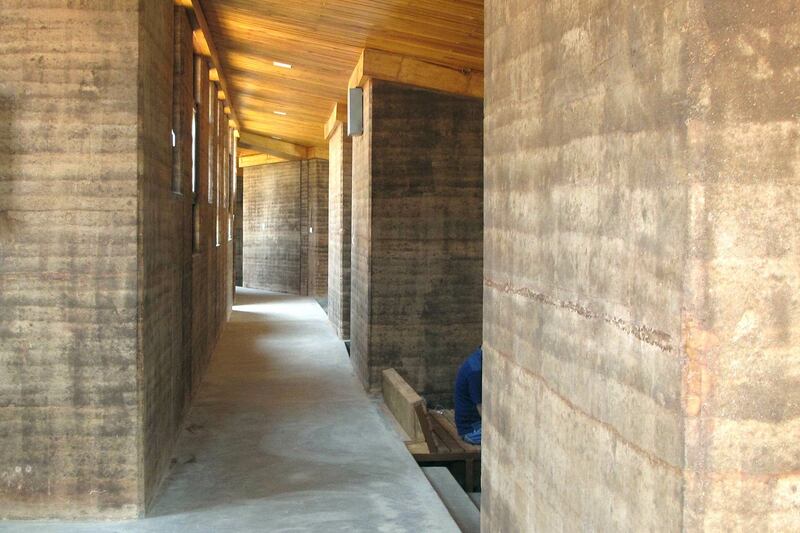 Transsolar developed completely passive climate-control strategies for all buildings and outdoor areas on the campus. 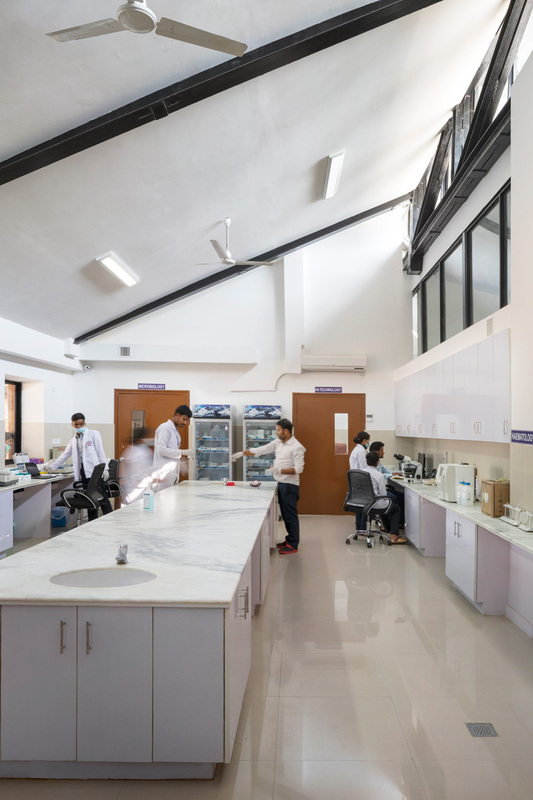 The three-phase expansion of Bayalpata Regional Hospital transformed an obsolete medical facility into a model of sustainable rural healthcare. The hilltop campus now encompasses 14 single-family houses for staff and an 8-unit dorm, as well as new outpatient, emergency, lab, pharmacy, administration, and inpatient buildings. 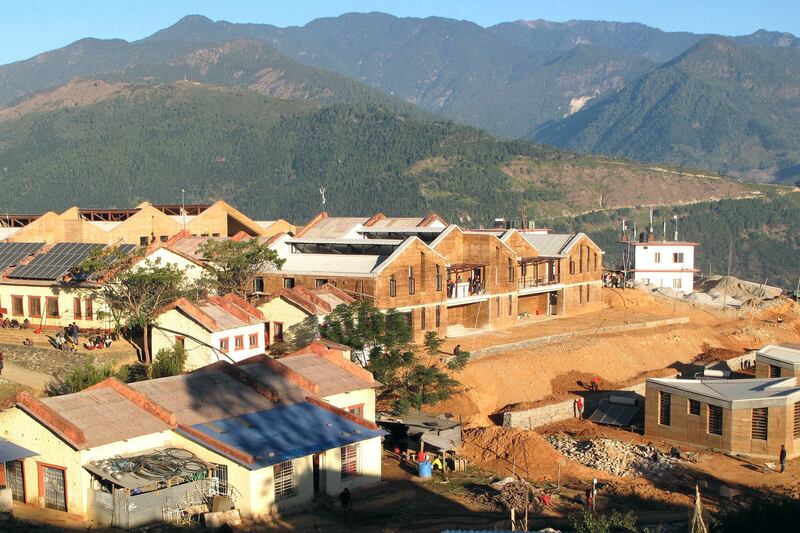 The division into smaller volumes relates Bayalpata Regional Hospital to traditional Nepalese construction, and a variety of rooflines and setbacks lend further human scale to the buildings. 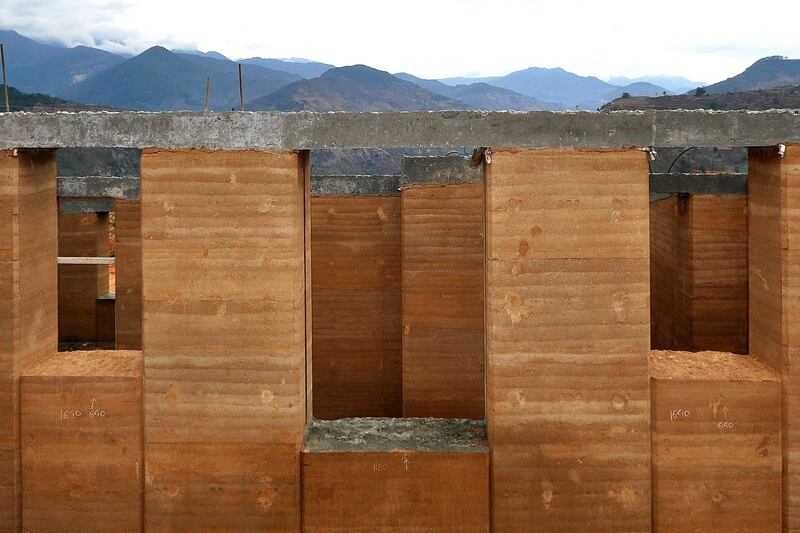 To minimize expensive shipping to the remote location, structures are erected primarily of rammed earth. 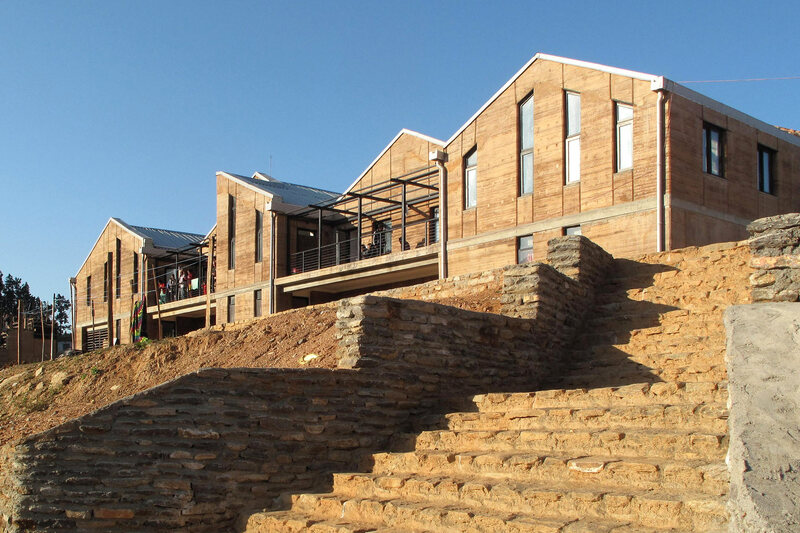 The local material’s thermal mass, moreover, represents a focus on passive heating and cooling; an extensive series of clerestories and skylights optimizes daylight and natural ventilation supports energy independence. 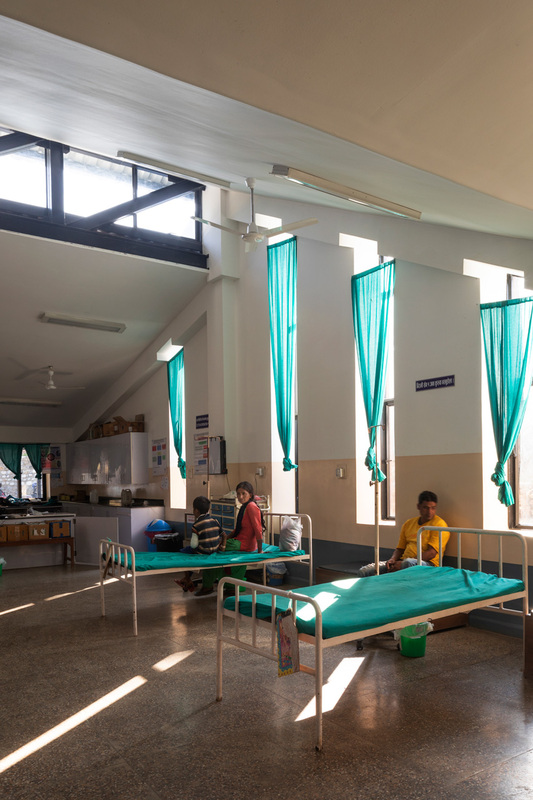 Because the hospital cannot rely on imported resources generally, infrastructure also is woven through the masterplan. It encompasses water supply and storage, wastewater treatment facilities, and a network of graywater-irrigated terraces as well as bioswales that will manage erosion and runoff from monsoon storms. A 100-kilowatt photovoltaic system installed on south-facing roofs is the foremost source of power.